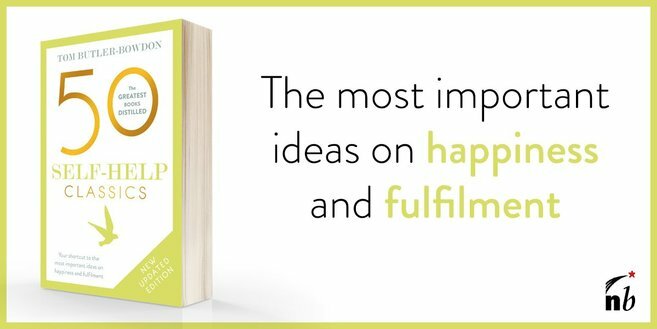 With an effortless power and simplicity, The Seven Spiritual Laws is a supreme example of contemporary self-help writing. The emphasis on success and prosperity may not seem 'spiritual' enough for some, but this is the very point of the book. If you are not a self-sufficient hermit then you are an economic actor who must be able to reconcile wealth generation with the spirit. In being both a devotional tract and a prosperity manual, The Seven Spiritual Laws acknowledges this, and is therefore an emblematic work of our times. Despite its source in Vedic philosophy, Chopra's short masterpiece could with some reason be called the Think and Grow Rich of the 1990s. Chopra's 'Field of Pure Potentiality' and Napoleon Hill's 'Infinite Intelligence', for instance, are quite similar concepts, emphasizing attunement with the non-material realm as the key to worldly success. While Napoleon Hill's work arose out of the simple American obsession with money, The Seven Spiritual Laws draws from Eastern thought and quantum physics, and the notion that power derives from stillness. Chopra goes beyond money to show us what abundance means. Identifying immutable laws of success is the great challenge of the self-help literature. Karma (cause and effect) and dharma (purpose in life) have been with us for eons, and they form two of Chopra's seven laws. Here, we look briefly at his other five. When the veil of the ego drops, knowledge is revealed and great insights are normal. Chopra refers to Carlos Castenada's remark that if we could stop trying to uphold our own importance, we would start to see the grandeur of the universe. We can access the field of pure potentiality primarily through meditation and silence, but also through the practice of non-judgement and in appreciation of nature. Once you know the field, you can always retreat to it, and be independent of situations, feelings, people and things. All affluence and creativity flow out of the field. Have you ever noticed that the more you give, the more you receive? Why does this seem infallible? Chopra says it happens because our minds and bodies are in a constant state of giving and receiving with the universe. To create, to love, to grow, keeps the flow going; not to give stops the flow and, like blood, it clots. The more we give, the more we are involved in the circulation of the universe's energy, and the more of it we will receive back, in the form of love, material things, serendipitous experiences. Money does makes the world go around, but only if it is given as much as it is received. If you give, give joyfully. If you want to be blessed, silently bless people by sending them a bundle of positive thought. If you have no money, provide a service. We are never limited in what we can give because the true nature of man is one of affluence and abundance. Nature provides everything we need, and the field of pure potentiality provides the intelligence and creativity to produce even more. Just as it is the nature of fish to swim and the sun to shine, it is human nature to turn our dreams into reality - with ease. The Vedic principle of economy of effort says 'do less and accomplish more'. Is such a concept revolutionary - or crazy? Are hard work, planning and striving a waste of time? Chopra suggests that, when our actions are motivated by love, not the desires of the ego, we generate excess energy that can be used to create anything we want. In contrast, seeking power over others or trying to get their approval consumes a lot of energy. We are trying to prove something, whereas if we are acting from the higher self, we simply make choices about how and where we will affect evolution and bring abundance. The first step is to practice acceptance. We cannot hope to channel the universe's effortless power if we are fighting against it. Say to yourself, even in very difficult situations: 'This moment is as it should be.' Secondly, practice defenselessness. If we are continually defending our point of view, or blaming others, we can't really be open to the perfect alternative that waits in the wings. This is the most complex law, and of course the most alluring. Chopra notes that while a tree is locked into a single purpose (to put down roots, grow, photosynthesize), the intelligence of the human nervous system allows us to actually shape the mind and the laws of nature to bring about the achievement of a freely imagined desire. This occurs through the process of attention and intention. While attention on something will energise it and make it expand, intention triggers energy and information and 'organizes its own fulfilment'. How does this happen? The author uses the analogy of a still pond. If our mind is still, we can toss into it a pebble of intention, creating ripples that move through space and time. If the mind is like a turbulent sea, we could throw a skyscraper into it and there would be no effect. Once the intention is introduced, in this receptive stillness, we can depend on the infinite organising power of the universe to make it manifest. We 'let the universe handle the details'. Though you may have an intention, you must give up your attachment to its realisation before it can manifest. We can have a one-pointed focus on something, but if we are attached to a specific outcome it will produce fear and insecurity at the possibility of it not happening. A person who is attuned to their higher self will have intentions and desires, but their sense of self is not riding on the outcome; there is a part of them that cannot be affected. In Chopra's words: 'Only from detached involvement can one have joy and laughter. Then the symbols of wealth are created spontaneously and effortlessly. Without detachment we are prisoners of helplessness, hopelessness, mundane needs, trivial concerns, quiet desperation, and seriousness - the distinctive features of everyday mediocre existence and poverty consciousness.' Without detachment we feel we must force solutions onto problems; with detachment, we are free to witness the perfect solutions that spontaneously emerge from chaos. For the detail and rich prose that makes Chopra such a delight to read, buy the book. It may take a while to get onto Chopra's wavelength and understand his terms, but persevere; the laws can have a revolutionary effect. On subsequent readings, you may find yourself discovering new meanings in the text - the familiar mark of a classic. The genius, intended or not, of the last century's personal empowerment writing is that spiritual messages have been delivered through instructions of a more material kind. We buy a book about prosperity, and find it telling us about the universe's benign and perfect intelligence; we purchase another which promises the laws of success, and are surprised because the answer involves maintaining good karma in our actions and detaching ourselves from the fruits of success. Chopra is often accused of promoting spiritual values as the means to becoming wealthier. That is true, but it is nothing to be ashamed of; when the nature of the universe itself is abundant, a life lived in poverty consciousness is a wasted life. The motif of the book is the unity of everything in the universe. Though it is overtly concerned with 'success', perhaps the real theme is power. By becoming more open to that unity and perfection, we assume more of its power, while the illusion of separateness pits us against the world, making us weaker in the process. The best personal development writing, exemplified by The Seven Spiritual Laws, is transforming the genre's idea of success from 'master of the universe', to how to achieve oneness with it. "When we understand these laws and apply them in our lives, anything we want can be created, because the same laws that nature uses to create a forest, or a galaxy, or a star, or a human body can also bring about the fulfillment of our deepest desires." Born in 1947 in New Delhi, the son of a prominent cardiologist, Chopra studied medicine before moving to the US in 1970. He was certified as an endocrinologist and established his own practice in Boston, later teaching at Boston University and Tufts medical schools, and becoming Chief of Staff at the New England Memorial Hospital.Chopra's transformation from hospital specialist to spiritual guru began with his involvement in the transcendental meditation movement, and was furthered by a renewed interest in the Hindu healing philosophy ayurveda. He became founding president of the American Association of Ayurvedic Medicine. His 30 books have been translated into over 35 languages and include Ageless Body, Timeless Mind (1993), Quantum Healing (1986), Creating Affluence (1993), How to Know God (2000), an edited collection of Rabindranath Tagore poetry and Why Is God Laughing? The Path to Joy and Spiritual Optimism (2008) and The Future of God (2014). Chopra is based in La Jolla, California, running the Chopra Center for Well Being, which he established in 1995.